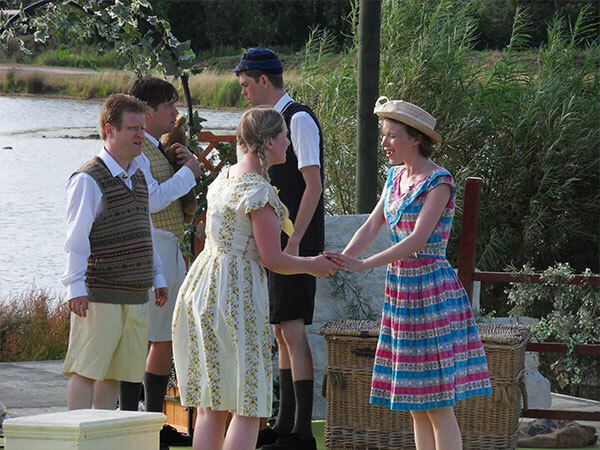 The outdoor theatre is situated just a five minute walk away from the visitor centre in a beautiful lakeside setting. 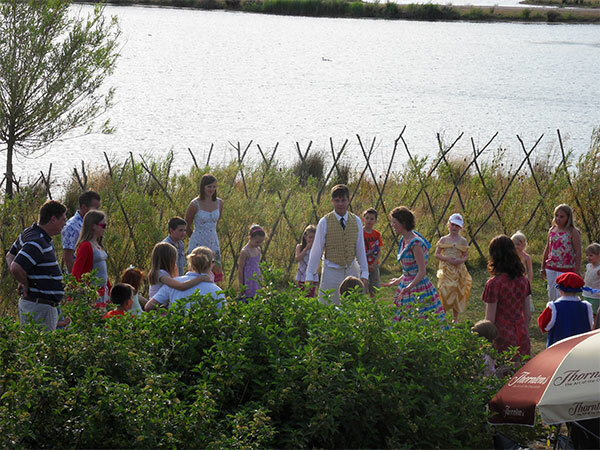 The tiered grass amphitheatre and stage, with the stunning backdrop of the lake and iconic visitor centre, provides a unique location for theatrical productions, outdoor cinema nights, team building exercises, school group activities and more. It is also available for hire by community groups or families wanting a unique location for that special occasion. Catering and bar facilities are available. Please call us for more details (01933) 625522. 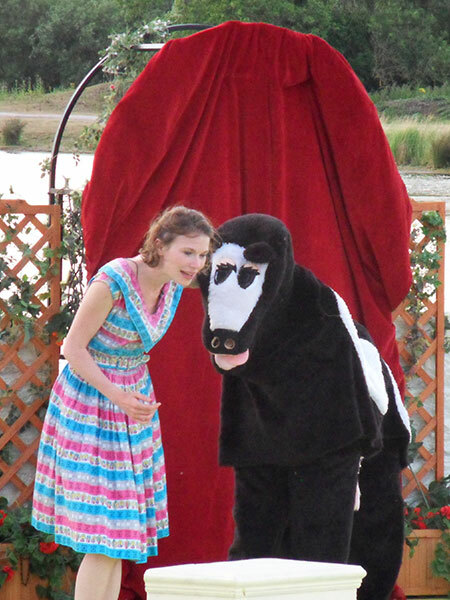 This summer, the Outdoor Theatre at Stanwick Lakes will come alive with fantastic stage shows for all the family. Struggling to write his latest play, a depressed William Shakespeare begins to wonder if it’s all worth it, and seeks solace within sweet slumbers – but what dreams may come? His rest is disturbed by visitations from some of his characters. Join Mole, Ratty and Badger in a family friendly, action packed adaptation of this timeless Kenneth Grahame classic by Quantum Theatre. Orsino loves Olivia, but she loves Cesario, who is Viola in disguise (who loves Orsino). 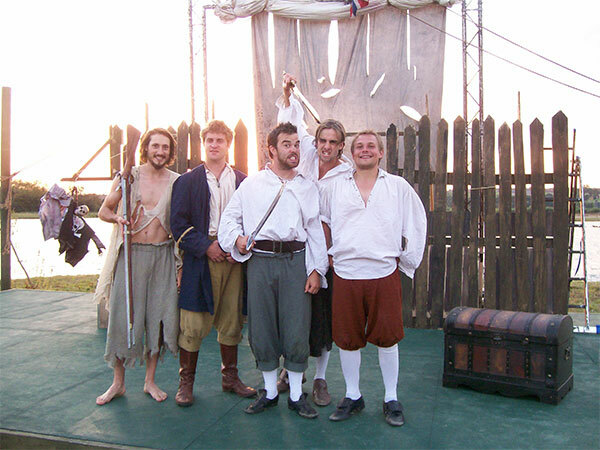 Shakespeare’s classic comedy of confusion presented by White Cobra Productions. Enjoy this classic tale of Arthur and the Sword in the Stone in Boxtree Production’s unique and energetic way. 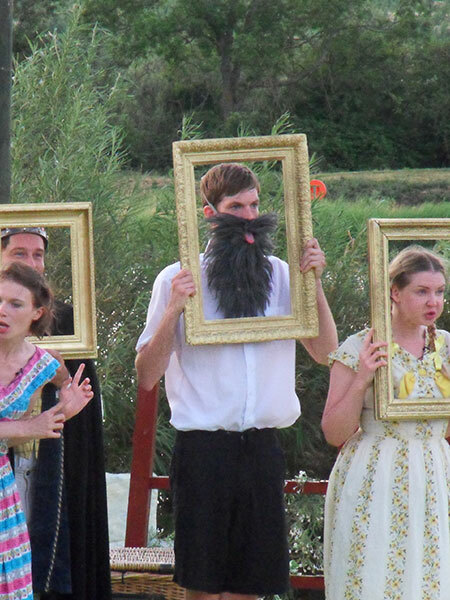 Quantum Theatre performs a fast paced, highly energetic version of Shakespeare’s best loved comedy interlaced with live music, and it’s rip-roaringly funny! 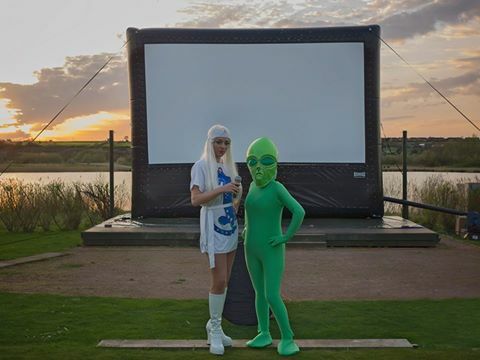 Also coming to the Outdoor Theatre this summer is Movies by the Lake. More information to follow shortly.